Kittens. Kittens are pretty one sided. Dinosaurs, lizards, snakes and reptiles in general are for boys, as are dogs, and cats, bunnies, and other fluffy animals are for girls. I like that the ponies have that devilish, mussed, beatnik look about them. I hope they also wear black turtlenecks and recite poetry, in coffee bars on their off hours. Don't forget Little Black that's a classic for boys. And my word verification is "reefuta" really, I'm not trying to be argumentative :). Great idea! 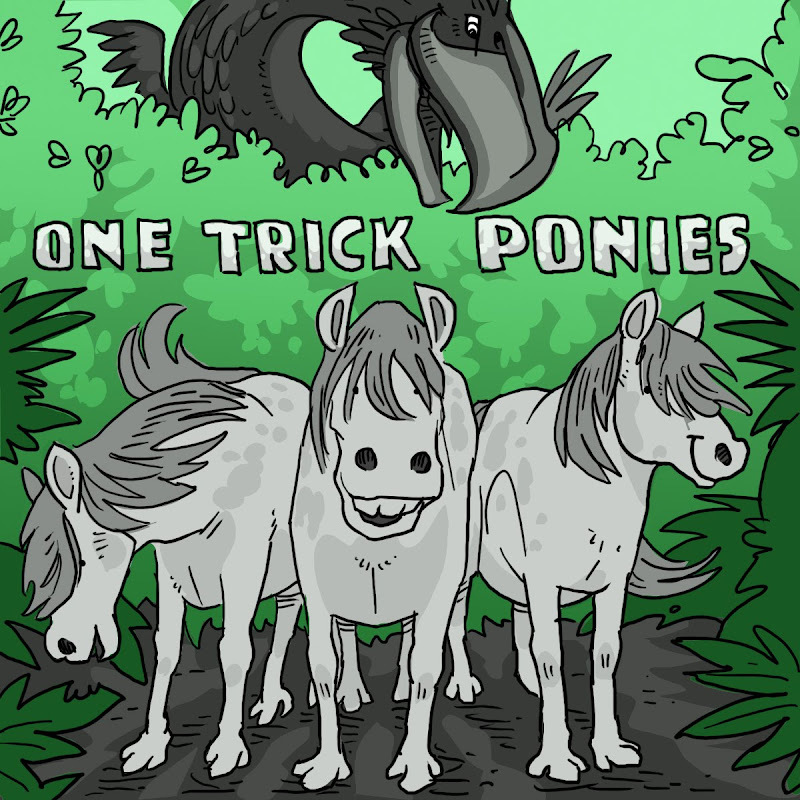 I had to go google terror birds, but I like the scruffy looking ponies and their tricks. At first I thought, Um, Nate, horses don't have bizarrely cloven hooves. Shoulda known these were pre-historic ponies! I don't know why ponies have to be just for girls. My Little Ponies could be pretty badass! Especially when they started reading up on socialism . . .
"Throw the glitter grenade, Comrade Twinkle!" Hey, you're done! You only need 26 for the picture book marathon. Or are you going to be an overachiever and do all 28 days? Also, I just realized- Jessica Day George, are you the author Jessica Day George? Oh my gosh! To think I have been reading (and smiling at) your comments for months and never made the connection! Wow! I think it would be great to do a fairy book for boys.